Ferrara is a relatively small city, advantageously positioned at the Emilian border with Lombardy and the Veneto. Its culturally rich past owes much to the powerful Este family who patronised the arts during the Renaissance, though on a lesser scale than the Medici in Florence. Musical performance was one of their many interests and the family tended to import instruments for their musicians from elsewhere. As a result no violin maker of significance worked in Ferrara until the late 17th century, when Alessandro Mezzadri (fl. c. 1690–1740) began manufacturing meticulously made and unusually symmetrically perfect instruments, which at their best compare favorably with his great contemporaries of Venice and Bologna (see violin dated c. 1730). Thereafter Ferrara’s tradition of fine and interesting violin making remained stylistically consistent despite some fallow periods. After Mezzadri, Luigi and Giuseppe Marconcini (fl. 1760–1790 and 1774–1841 respectively) worked in a similar style to their predecessor, with Giuseppe boasting a well-developed and controlled technique, using excellent local and foreign woods and pretty, transparent varnish – all quite unusual in Italian violin making of this era (see violin dated 1814). A long gap in Ferrarese making followed until Luigi Soffritti (1860–1896) began constructing violin family instruments. Trained as a carpenter, he probably initially worked as an amateur before later becoming a professional maker. Luigi Soffritti’s work appears to be a genuine effort to revive Ferrara’s nearly lost art, but remains ‘primitive’, at least when compared to the type of violin making that was by then prevalent in larger cities like Bologna, Milan and Venice. It was Luigi’s son Ettore, born in 1877, who was to become one of Italy’s foremost craftsmen. Having lost his mother at age three and father at 19, Ettore began his career very early, learning the basics from his father. The two Soffrittis collaborated until some time prior to Luigi’s premature death aged about 36. There does not appear to be anything remarkable about Soffritti instruments made in collaboration with his father, at least until the son reached 15, when he is reputed to have embarked on his own career while also learning to play the violin at the local music school. It would be surprising if Ettore was not greatly affected and destabilised by the loss of his father and, while the rare examples of his work in the following decade show considerable promise, his instruments betray a search for direction until around 1905. A parallel can here be drawn with Enrico Rocca, who lost his last surviving parent, Giuseppe, at an even earlier age. While Ferrara in the late 1890s lacked living violin makers who could serve as role models for Soffritti, quite the opposite was the case in nearby Bologna, where the workshop of Raffaele Fiorini (1828–1898) seemed to be flourishing. Like his older Genoese contemporary Nicolo Bianchi (1804–1880), Fiorini is celebrated as a mentor to many fine makers of a later generation whose work is today relatively plentiful. However, the personal work of both Fiorini and Blanchi is exceptionally rare and often difficult to identify; copies and fakes abound, particularly of Fiorini. Foremost among Fiorini’s pupils and assistants was his own son, Giuseppe (1861–1934). Other notable pupils included Augusto Pollastri (1877–1927), Armando Monterumici (1875–1936) and Carlo Carletti (1873–1941). All of these makers initially shared common characteristics in their personal work. Though there is no documentary evidence to support this, it is highly probable that during the mid to late 1890s Ettore, too, received guidance from Raffaele Fiorini. 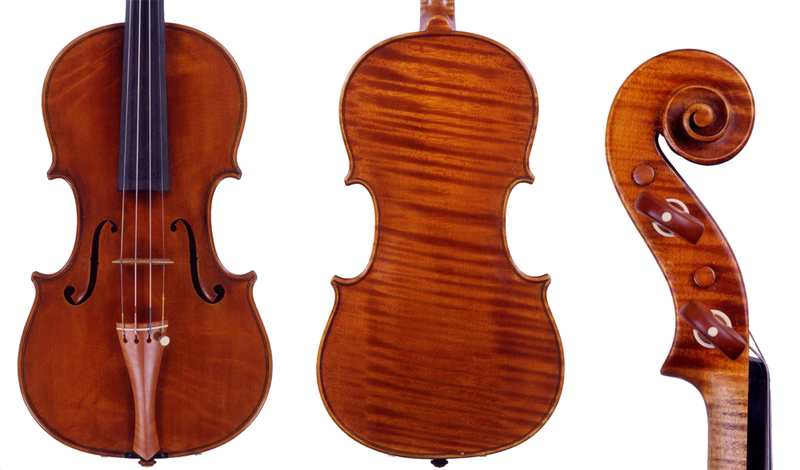 Not long after the turn of the 20th century his suddenly more coherent violin making shows a stylistic likeness to that of Fiorini, as well as to those of his pupils. 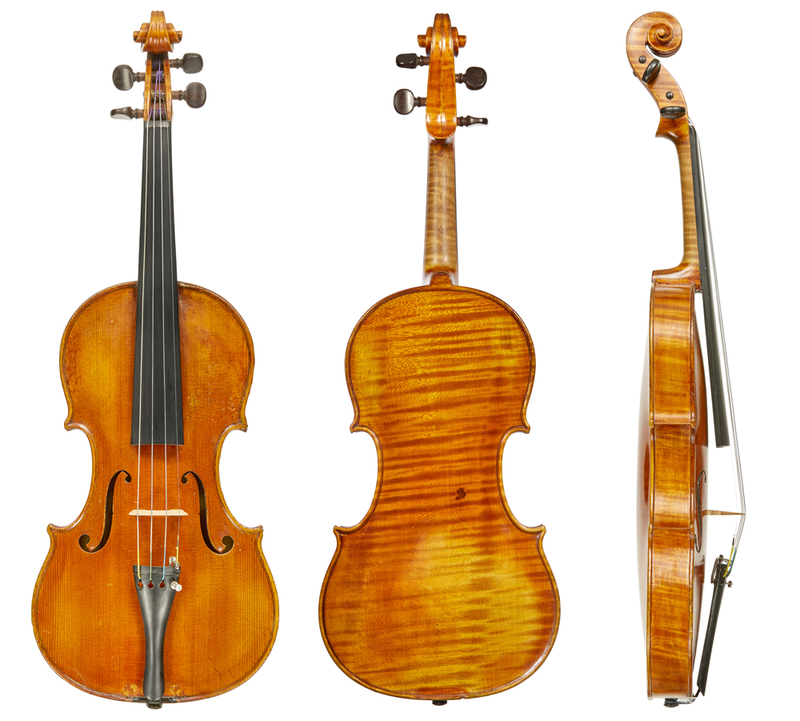 For instance, Soffritti adopted a Guarneri model – never previously seen in Ferrara – in a style very similar to that seen in Raffaele Fiorini’s instruments and the early work of Monterumici. 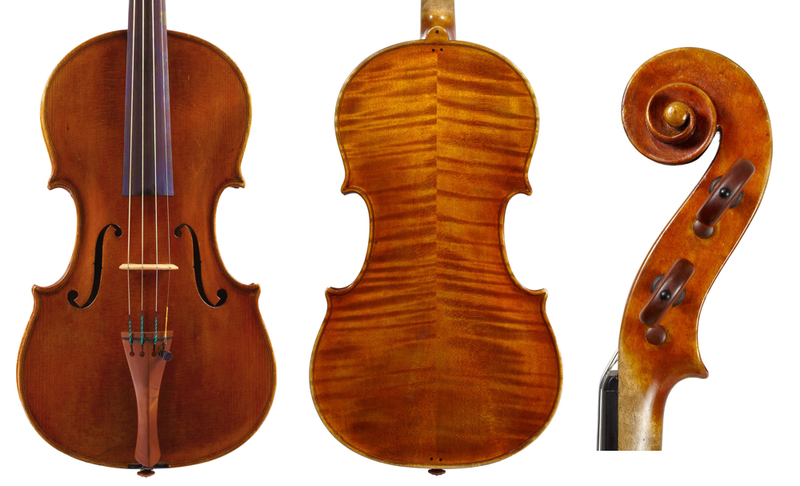 Also, the model of Soffritti’s fine cellos is not dissimilar to some of Fiorini’s (Fiorini’s beautifully rounded model is particularly well-represented by a cello dated 1894). It was perhaps the refined and intensely personal instruments of his Bolognese peer Augusto Pollastri that inspired Ettore to maintain the highest level of workmanship possible, but without the sterility that often accompanies precision. During the first decade of the 20th century Soffritti’s work quickly acquired sophistication and his production increased slowly but steadily, both in quality and in quantity. By 1911 he had won several gold medals in national and international exhibitions. His post-1910 labels refer both to being his father’s pupil and to his achievements in these exhibitions. From then on Soffritti became highly prolific. What makes Soffritti’s work particularly appealing is his evident resolve to remain true to his Emilian roots – traditionally defiant of the Stradivarian pattern. While some early works dabble in the Guarneri model, his mature work tends to be closer to the generally Amatese models of earlier Emilian violin makers, but with a Stradivari influence in the f-holes. Soffritti’s own artistry lies in the soft, flowing outlines, plus the confidence of the carving, the finishing and flutings of his edges and the lower wings of the f-holes, as well as the rather deeply carved edges – no doubt inspired by those of Mezzadri and Marconcini. His multi-hued, multi-layered, translucent oil varnishes add a warm appearance to the excellently chosen maple and spruce. His moderate, fluid archings assure an elegant tone that, although not the most powerful, is never brash. The purfling, at times quite wide, is perfectly inlaid. Like the Marconcinis before him, Soffritti incorporated into his own making Mezzadri’s signature deep channeling at the edges and well-proportioned, deeply carved, rounded scrolls. These show a strong sense of style matched by few of his contemporaries. More closely related to Giuseppe Marconcini’s prototype, the volute begins with a conspicuous, well-rounded eye; the smooth, rounded chamfer then continues its flow into a gracefully curved pegbox. Though some of his earliest works resort to the use of plain maple, like Pollastri, Ettore quickly became one of the ‘gentlemen makers’, using the finest available materials and avoiding the over-hasty work that even some of the greatest Italian makers were capable of producing. He and his followers did not, however, hesitate to use local woods such as oppio and well-selected poplar or similar softer woods for the backs. Soffritti is widely considered the founder of the modern Ferrarese school, having trained a number of pupils. Among these, Anselmo Gotti (1902–1960) was perhaps the most distinguished; his work is often confused with that of Soffritti and sometimes relabeled as such, although he was a fine maker in his own right. Gotti did take it upon himself to complete some unfinished instruments after Ettore’s death in early 1928. Ernesto Pevere (1891–1963), Enrico Orselli (1891–1955) and Gaetano Pareschi (1900–1987) were other noteworthy and prolific pupils who perpetuated Soffritti’s style and method well into the 20th century, with their most Soffritti-like instruments often passed off as by their master. To this day, good makers in Ferrara admire Soffritti and often emulate him rather than succumbing to the other, more mainstream, nearby influences. Eric Blot, Liuteria Italiana, vol. I: A Century of Italian Violin Making in Emilia Romagna, 1860–1960, Eric Blot Edizioni, Cremona, 1994. Alberto Giordano, Ettore Soffritti, The Strad, December 2008. Dmitry Gindin, Enrico Rocca, Cozio Carteggio, July 2016. Artemio Versari, Liuteria Moderna in Emilia-Romagna, Il Salabue, c. 2002.